Matt Frentheway, our Chief Appraiser and trainer, is an entertaining, dynamic, and knowledgeable guest speaker that never fails to deliver. A combination of years of Utah real estate experience, working with agents and as an appraiser, and investor, coupled together with a ‘No BS’ attitude to getting things done, Matt is as energetic on stage as he is empathetic towards realtors and other Utah real estate professionals in general. 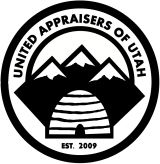 Matt is well versed with the Uniform Standards of Professional Appraisal Practice (USPAP) and Federal Housing Administration FHA appraisal guidelines; as such, he is a trustworthy source to learn appraisal best practices from. Well aware of how brutal it is to sit in an audience, listening to some ‘expert’ clamor on, nearly putting their audience to sleep, Matt makes sure to keep things entertaining and interactive by keeping all of his presentations up-to-date as well as interactive with the attendees. By the time attendees are done digesting his presentation, they genuinely have something of great value to take away, and more importantly, to take action on—holding themselves accountable to actually making the most out of the investment they made in attending. Highly aware of the balance needed to keep people informed and entertained at the same time, Matt injects both a light-hearted approach and a little humor whenever possible in his sessions. Want Matt, the Property Appraisal Expert, at Your Event? If you’re interested in booking a future event (either in person or online), you can call either office at 801.260.2828 or 435-657-9630 and we’ll work out all the details or click here.